Field Marketing (APAC), LinkedIn Sales Navigator, Event Marketing. Digital Marketing and WordPress Design Intern, Marketplace configuration. Captured youth-centric market to use paytm as the alternative payment solution for the biggest profit making company after demonitizing move! Closed all the merchants near College area and helped them move towards digital payment system. Promoted Truecaller online and both offline through various campaigns to engage and help learn more about truecaller, get them to use truecaller. Performed various Creative work to help promote the India’s biggest online internship portals, on and off campus. Representing India’s biggest e-cell program in Manipal University Jaipur. Helping promoting their events and also aimed to bring about the personal development as well as advancement of the entrepreneurial eco-system in college. Representing IIT Kanpur’s e-cell in Manipal University Jaipur & Encouraging people from college to learn entrepreneurship. Career Launcher is a Institute for CAT/GMAT/GRE preparations. Growth Marketing at Manipal University Jaipur. A startup about online trading, promoted via online engagements & promotions (Facebook & Twitter). I studied Business Administration at Manipal University Jaipur. Shiva Venkatraman CEO / Varidus & Venture Investor. 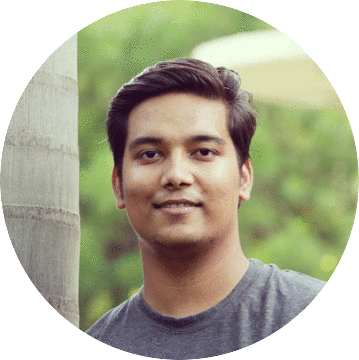 Mohit brought lot of creativity, design thinking and digital marketing experience/expertise into our company. I was really delighted with his work. He also has a pleasant personality which makes it easier to work with him. You can download my CV in pdf format if you like. I love what i do.